Rekt isn't what you think it is. 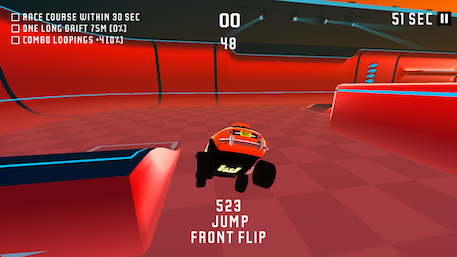 It's like a mash up of Rocket League, a skateboarding game, and a mobile title. And it works really, really well. 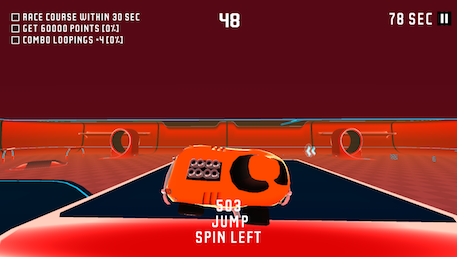 It's a game about scoring points, about pulling off flips, and about completing challenges. And you're going to have an awful lot of fun playing it. It might take a while to get used to the mixture of ideas that the game throws at you, but once everything clicks together you're going to have a blast. 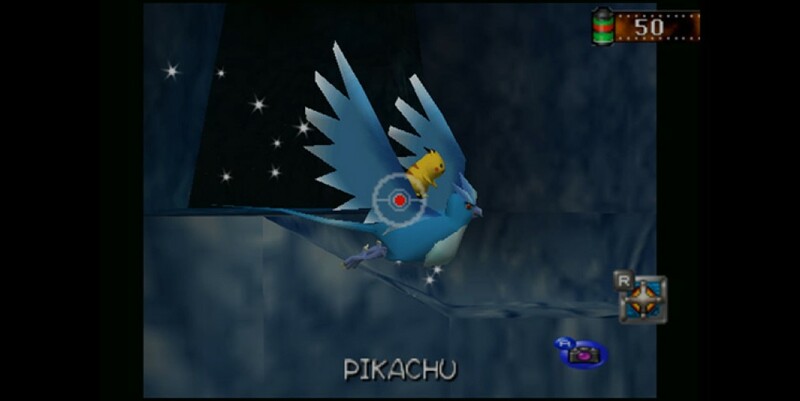 The game is set in an arena filled with ramps, loops, gates, and all manner of other obstacles. Each run you've got three challenges to try and complete. Finish a challenge and you'll get a new one. There are various kinds of tasks. Sometimes you need to score a set number of points, other times you need to chain together different tricks or complete little races. You score points by completing tricks. Swipe left or right when you're in the air you'll spin in that direction. Spin up or down and you'll perform a front or back flip. Long press on the screen while you're moving and you'll stop. You'll need to chain together your tricks to get the best scores. Loop-de-loops, gates, and boxes let you keep going. So does drifting, which you pull off by steering and tapping the brake button. The game keeps things interesting with the challenges. There's always something to do, and then you're chasing a high score to try and unlock the next car as well. Everything looks great too, and there's a slickness to the driving that fizzes in all of the right ways. You feel connected to the ground when you need to, and free when you're flying. There's skill involved here, and you need to learn the beat of the game to get things right. Rekt is a really good take on a whole bunch of different mechanics. It requires skill and patience, and you'll get more out of it the more you put into it. There's an arcade spirit to everything that Rekt does that makes it almost impossible to dislike. If you're looking for a driving game with a difference, then this is well worth checking out. App Army Assemble: REKT - Rocket League on mobile or just a plain old wreck?